With an estimated 20% of UK households rented privately in the UK, it's predicted this figure will increase to one quarter by 2021. So, the private rental sector is showing no signs of slowing down, with many millennials priced out of buying a home renting through choice as much as necessity. But tenants in 2019 need to be aware of changing legislation as much as their landlords and protecting their interests should be high on their priority list when looking for a property to rent. The government's How to Rent Guide, as well as a valid gas safety certificate and energy performance certificate, should be issued to all tenants at the start of a tenancy by their landlords as part of legislation from 2015 regarding section 21 evictions. Put simply, if, as a tenant, you were not issued with the latest version of the How to Rent document and EPC and gas certificates when you started your tenancy, your landlord cannot issue a section 21 eviction notice legally. This is where being up to speed on legislation can pay dividends for tenants as much as landlords. Custodial protection: This is where the tenant's deposit is held in a scheme operator's bank account which cannot be accessed by either the landlord of tenant. Insurance protection: In this type of scheme, the landlord or letting agent holds the tenant's deposit and pays a fee to insure it against being withheld at the end of the tenancy. If your landlord has not lodged your deposit into one of these schemes within 30 days of your tenancy starting, you can reclaim your deposit plus up to three times its amount as a further sum. Most importantly, you should always use a lettings agent or landlord who lodges your deposit into a custodial protection scheme - this is far more secure than an insurance-protected scheme. If you were buying a house, there would be a certain amount of financial preparation to do before applying for a mortgage. Look closely at your finances and set a budget for the rent you can afford each month, taking into account any bills and living costs. You'll also need to budget for lettings agent fees if you are looking to start a new tenancy before June 1, when the ban on tenant fees begins, and for your security deposit. Also, make sure you find out your Experian credit rating before applying for a tenancy. Many people have a poor credit history but don't realise and a poor mark on a lettings agent's credit check could see you lose your dream rental property. The tenancy agreement is the one single document that outlines your obligations and responsibilities as a tenant - so read it and digest it. If there is anything you're not clear on, ask your lettings agent or landlord to clarify. 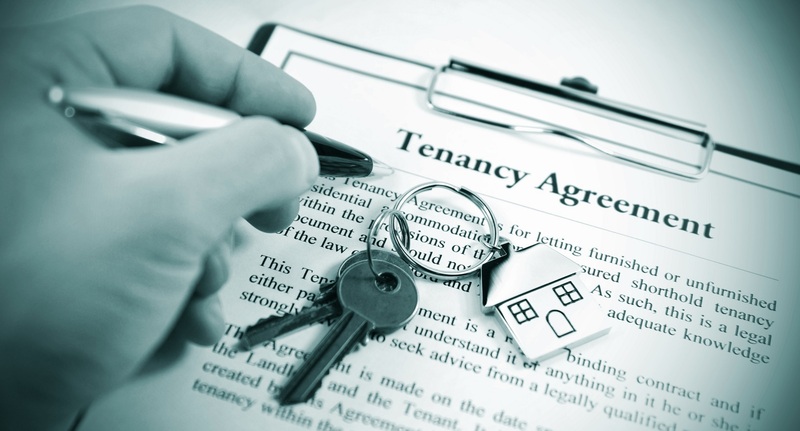 The agreement is a legally-binding document so understanding it is crucial to ensuring your tenancy runs smoothly. The inventory report on your rental property outlines the condition it is in at the start of your tenancy agreement. Most tenants' biggest worry is not receiving their deposit back at the end of a tenancy and while the deposit protection schemes offer a level of reassurance, the inventory report is as key when you leave as it is when you move in. Go through the report and flag up anything you feel is inaccurate - the last thing you'll want is to be held accountable for damage that existed before you moved in but was missed on the inventory. This sounds like an obvious tip, but the best way to avoid confrontation with your landlord is to pay your rent in full every month. And if you can't, or feel like you are struggling to keep up financially, speak with your lettings agent or landlord before you fall into arrears. Landlords are far more likely to be sympathetic to your plight if you communicate it early and may be in a position to find a compromise if you are otherwise a good tenant. Simply not paying and hoping the problem will go away is a bad tactic and will almost certainly see you evicted and possibly taken to court for your outstanding rent. Not only that, when you come to rent another property in the future, your non-payments may show up in the form of a referencing check or landlord's reference. It's surprising how many tenants assume they have to stay with the landlord's energy supplier, often paying more than they need to for gas and electric. If you're paying these utility bills, you have the right to switch - and doing so could save you a pretty penny. If bills are included with your rent then so much the better... as you don't have to worry about how much you're paying! While your landlord is responsible for providing a suitable buildings insurance policy, your contents are not their responsibility. So, ensure you have adequate contents cover to protect your belongings from the day you move into your rental property. Unlike owning your home, you can't simply repaint a property or put up shelves when renting. While many landlords are quite relaxed about allowing tenants to make decorative changes to their properties, it always pays to get permission and check the tenancy agreement before doing so. Repainting without permission, for example, could see your deposit deducted for the costs of returning the property to its original state. When renting a flat or apartment, possibly for the first time, there are a host of other things to check before committing to a tenancy. Given the proximity to other people that comes with living in a flat, you should ask for information on your neighbours and if there have been any issues or disputes between them and previous tenants. Also, find out who is responsible for garden and general building maintenance. More often than not, this will be down to the building's freeholder and included in any maintenance charge. But if your rental flat is owned by your landlord on a shared freehold basis, responsibility to muck in with general maintenance may be inserted into your tenancy agreement. If you have any questions about renting a property in London speak to your local Ellis & Co office who will be happy to help.